Another legislative session will soon be ending for the House of Representatives. The 2017-18 legislative session has been a session full of accomplishments and success – especially these last few months. In June, we passed a state budget which was within inflation rates and erased potential deficits. This year’s budget included increased funding for education, putting $22 million in the Rainy Day Fund, and a School Safety and Security Grant Program, which allocates $60 million for eligible schools to use toward security measures. Recently $25,000 was awarded to each of our local school districts from this grant program for improved school safety. We started removing barriers to help people work by passing legislation such as the Clean Slate Act, Act 56 of 2018, which will help people with nonviolent misdemeanor convictions have their records sealed if they remain crime-free for 10 years, and House Bill 163, now Act 95 of 2018, which removes license suspensions for drug convictions to help individuals who already paid their debt to society to drive and re-enter the workforce. • Create standards for drug and alcohol recovery houses which were nonexistent (Act 59 of 2017). • Update school instruction about drugs and alcohol to include opioid abuse prevention, with an emphasis on the epidemic and heroin (Act 55 of 2017). • Enact the Drug and Alcohol Detoxification Program to help erase the shortage of detox beds by encouraging empty beds in health care facilities to be used for emergency detox (Act 40 of 2017). • Require opioids to be prescribed electronically making it more difficult to have fake prescriptions filled, while also making it more convenient for patients who have a legitimate need for the medication. Currently, most all other medications are prescribed electronically (Act 96 of 2018). • House Bill 2133, now Act 89 of 2018, will establish the Kinship Caregiver Navigator Program, an informational resource for these grandparents that will operate both as a website and a toll-free hotline. • House Bill 1539, now Act 88 of 2018, will allow grandparents to have temporary guardianship when the parents of the grandchildren are unable to care for them primarily due to substance abuse issues. • House Bill 595, now Act 17 of 2018, assigns the investigation and mediation of complaints regarding planned communities, cooperatives and condominiums under Title 68 (Real Property) to the Office of Attorney General’s Bureau of Consumer Protection. This new law grants residents and board members in these private communities the ability to seek assistance and investigation when there may be possible illegal activity occurring with certain issues from the Attorney Generals Office. The Bureau of Consumer Protection is already equipped to handle these complaints in a way that will find resolution and justice for these disagreements and violations. • House Bill 431, now Act 42 of 2018, establishes the Private Dam Financial Assurance Program to offer financial assurance for the private owners so they may meet the financial obligations imposed under the Dam Safety and Encroachment Act. The program is self-funded with dam owners paying a one-time registration fee of $1,000 in addition to an annual fee equal to 1 percent of the bond amount required by Department of Environmental Protection. In addition, as this fund grows to reach $1.5 million, Department of Community and Economic Development shall use it to establish a loan program to help these dam owners make necessary repairs to prevent breaching in the future. 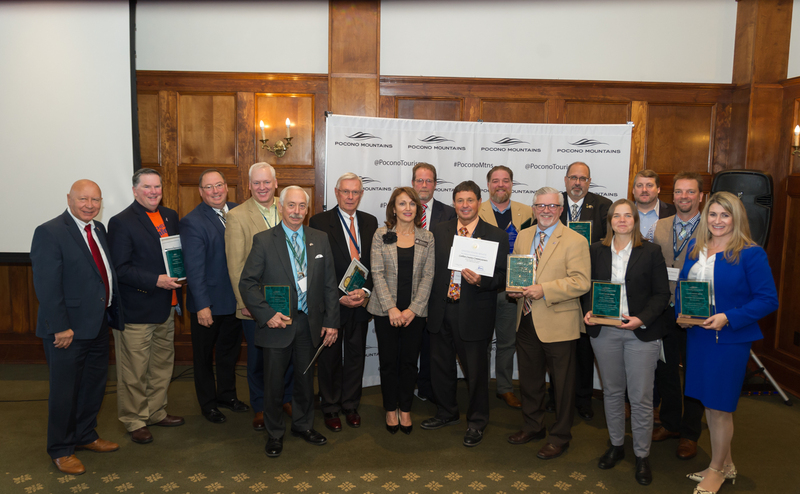 On the homefront, we were able to secure a combined $606,667 in state grants from both the Pennsylvania Small Water and Sewer Program and the Greenways, Trails and Recreation Program for local sewer, water and recreational improvement projects. I also initiated and secured $500,000 for East Stroudsburg University to develop its tick research lab and tick surveillance and research program. This funding also gives the lab the ability to provide FREE tick testing to all Pennsylvania residents. Last week at Skytop Lodge in Barrett Township, the Pocono Mountain Visitors Bureau held its annual awards luncheon. 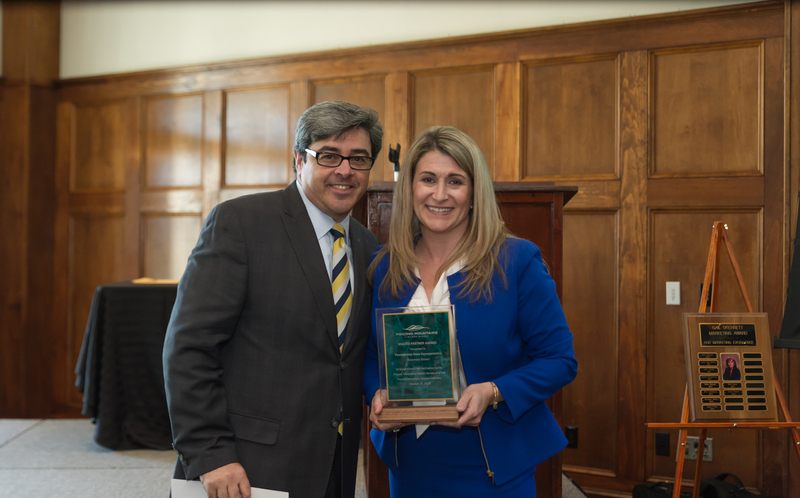 It was an honor to receive a Valued Partner Award from PMVB in recognition of my strong partnership with the tourism industry in the Pocono Mountain region. Advanced reservations are required for this event. 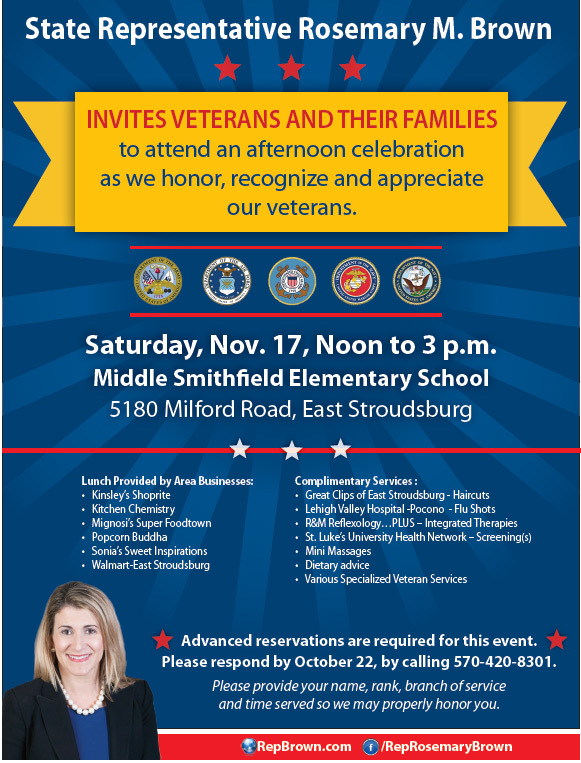 Please RSVP by Friday, Nov. 16, by calling 570-420-8301. When registering with my district office, please provide your name, rank, branch of service and time served so we may properly honor you. Congratulations to Jocely Berrios, age 12, who sang her way to winning the Pocono Great Talent Event on Oct. 30, at The Sherman Theater. I was honored to emcee the event and meet all these talented contestants. 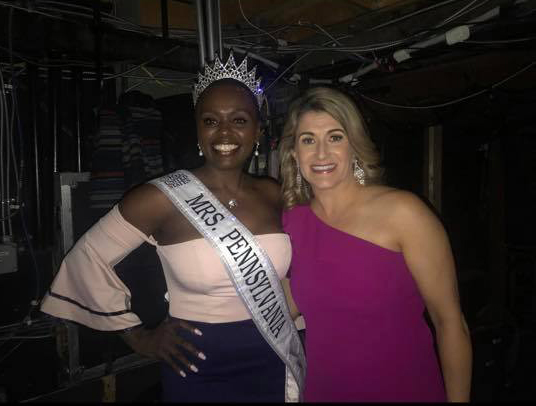 I also brought out onto the stage our very own Middle Smithfield resident, Mrs. Pennsylvania 2018, Caroline Verkaik to take a moment and discuss her platform of teen suicide and mental health – an extremely important topic. 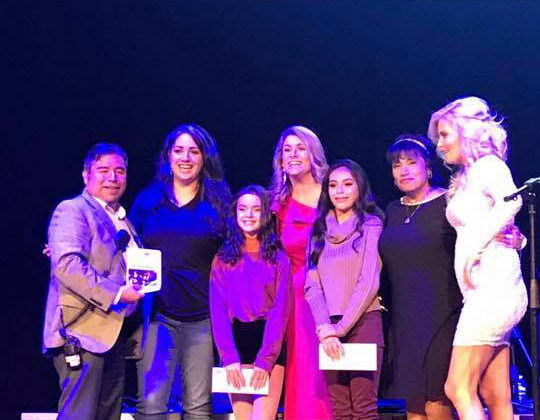 I also want to congratulate second-place winner Deanna Badik (vocal) and third-place winner Arianna Hernandez (dance) for their outstanding performances. 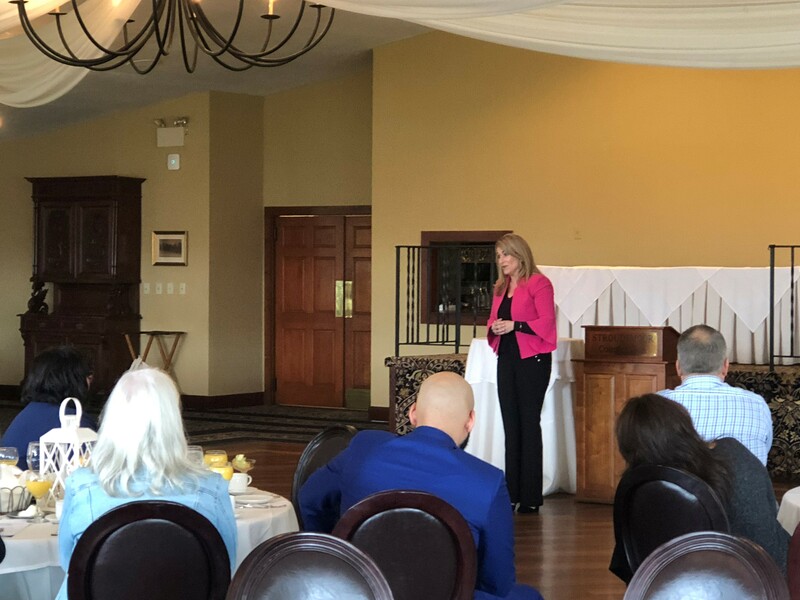 Last Friday, I spoke at the Pocono Mountain Association of Realtors Broker Breakfast. I spoke about my first-time homebuyers savings account legislation which I introduced this session along with Rep. Ryan Bizzarro (D-Erie). This bill passed the House recently 189-1 and awaits action in the Senate. A first-time homebuyer savings account will be an important tool in helping people overcome the financial obstacles to home ownership. 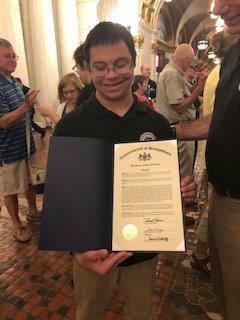 Congratulations to Eleazar Sanchez, who competed in Seattle Washington this summer and represented Team Pennsylvania at the 2018 Special Olympics USA Games. Eleazar earned medals in the 100-meter, 200-meter, 4x1 and mini javelin events. Eleazar is pictured above at the state Capitol. Congratulations, Eleazar. We are so proud of your accomplishments! 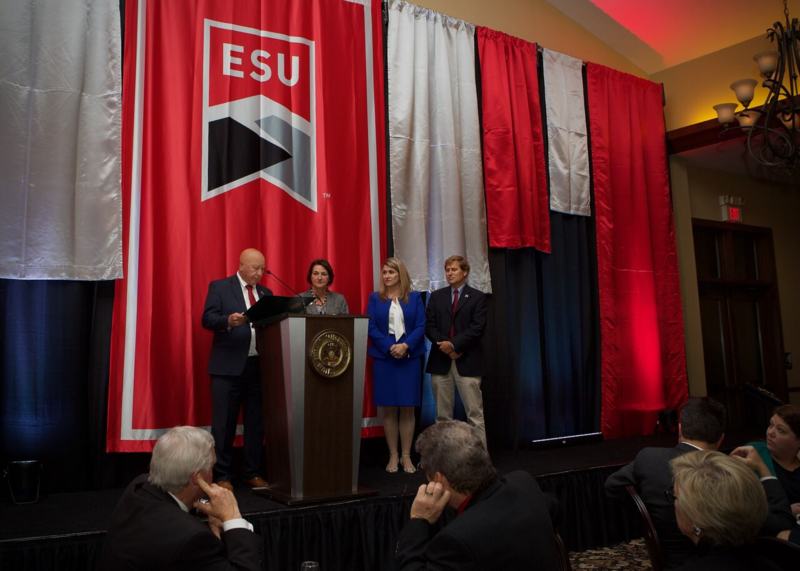 Last Thursday, I attended the 125th anniversary celebration of East Stroudsburg University, which was established in 1893 as East Stroudsburg Normal School. The Monroe County legislative delegation presented House and Senate citations to commemorate the occasion. Also, constituent Robert Moses along with William Cramer and the R. Dale and Frances M. Hughes Foundations all received Presidential Medals for their unwavering commitment to ESU. Daylight saving time ended at 2 a.m. on Sunday, Nov. 4, and Pennsylvania residents turned their clocks back one hour. Experts recommend using this reminder to check or change the batteries in smoke detectors and carbon monoxide alarms. Smoke detectors and carbon monoxide alarms should be replaced every 10 years and located near bedrooms and on each level of the residence.